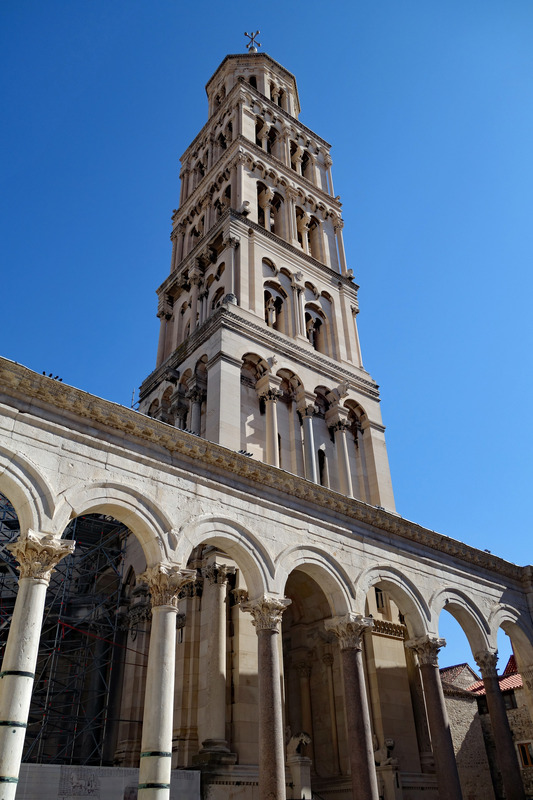 Our time in Split, Croatia was like a spring garden awakening from a winter sleep. Umbrellas burst open, cafe doors were flung wide with tables spilling out into what were once quiet squares, the clocks rolled forward and the temperature is rising. Spring has definitely arrived here in Split. For our move from Dubrovnik to Split we purchased tickets on Croatia Bus, a new method of transport for us. The journey was uneventful and certainly not luxury travel however it got us to Split in 4 hours at a cost of 123 Kunas each (20 USD), compared to private transport for 180 Euros (205 USD) or a car rental for 180 USD. The budget won this contest and we took the bus!! Despite making 4 stops it was a relaxing way to see the coastline and Croatian countryside. Arriving in Split we were met by our landlord Antonia and escorted to our latest apartment rental, a quaint 4 story building in the heart of the city, just outside the walls of Diocletians Palace, and one block off the Riva waterfront promenade, we can walk everywhere in the old city center!!! Our first day was spent exploring the nearby area, sourcing out grocery stores, finding a gym and hiking up Marjan Hill to the viewpoint and a short way beyond into the park. 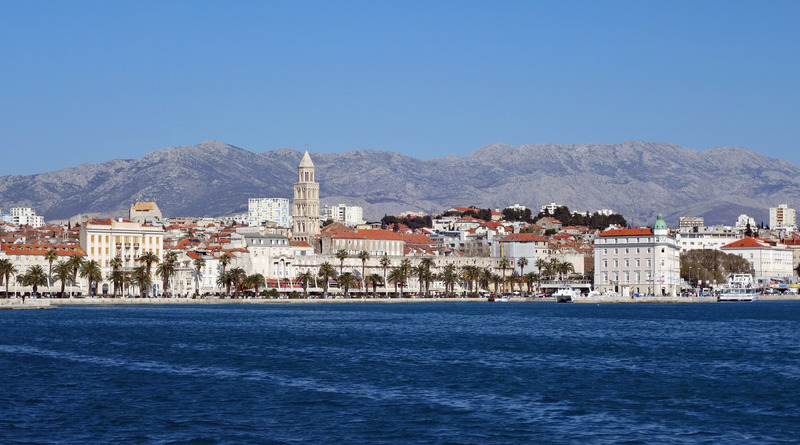 Split is much larger than we had anticipated with an approximate population of just under 200,000 – a lot bigger than Dubrovnik. 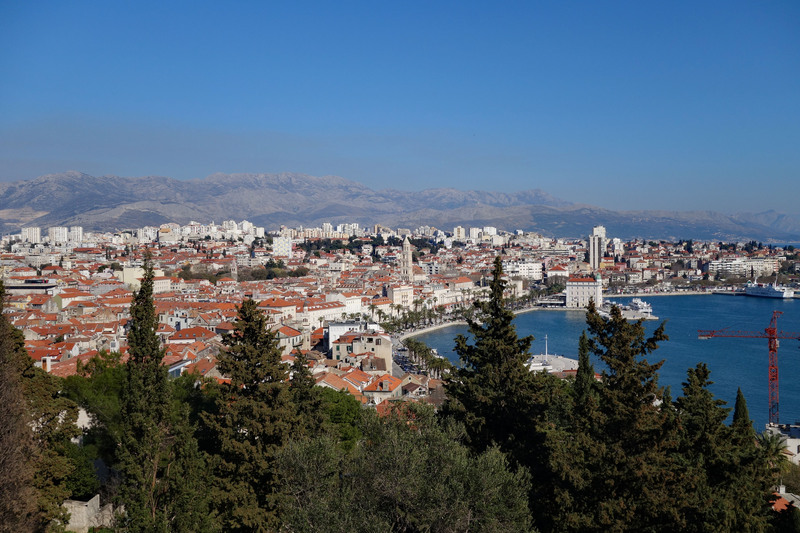 Marjan Hill viewpoint was a perfect place to see Split’s urban sprawl and many of the nearby islands. There are no free walking tours allowed in Split so we paid 15.67 USD each for an Airbnb historic walk through old town with a local resident, who it turns out used to work on cruise ships and knows Cayman quite well. This made for some lively conversation about the cruise ship industry and the Cayman Islands, we enjoyed sharing memories of Cayman 🙂 There were only 4 of us on the tour, it felt very personal and our guide Filip extended our tour by an hour to show us some of the newer areas outside the palace walls, the fish market and a few local restaurants he recommended. 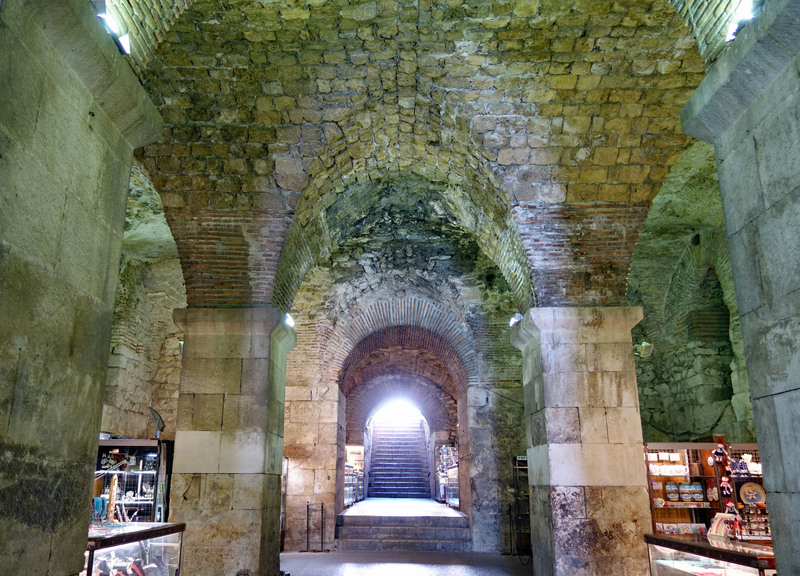 The main focus of the tour was Diocletians Palace the oldest part of Split built at the turn of the 4th century for Roman Emperor Diocletian as his retirement palace. The labyrinth of cellars supporting the palace now house art exhibits and a little strip of souvenir shops, in one cellar section was where Daenerys chained her dragons in Game of Thrones. 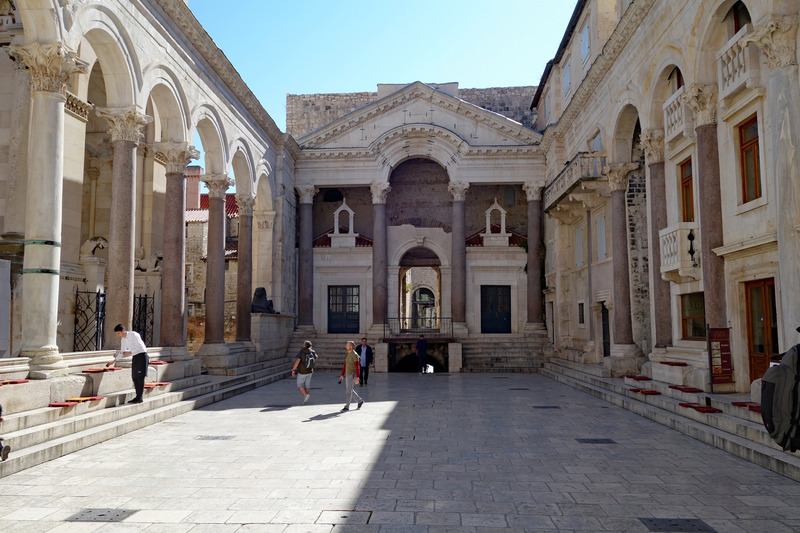 In the center of the palace is The Peristyle, a narrow public square where you can enter Diocletians Mausoleum, the Cathedral, the Temple of Jupiter and the palace’s basements. 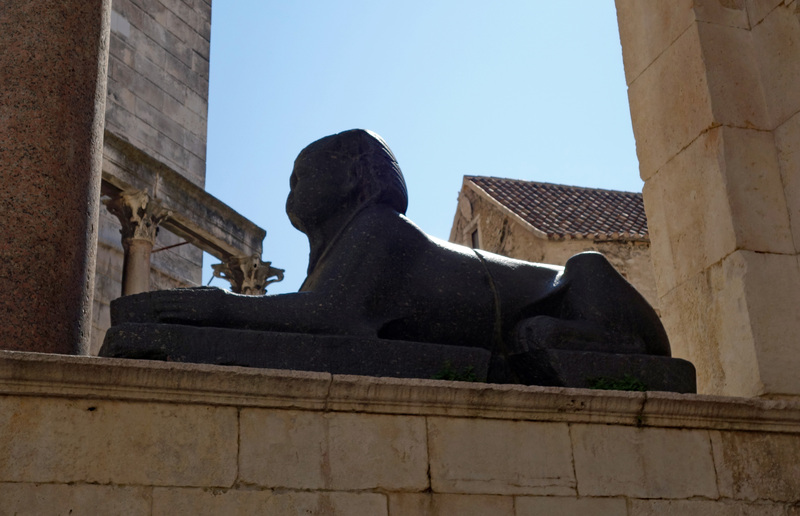 On one side of the square is the last remaining intact Egyptian Sphinx of Diocletians collection of 13, originally decorating the palace. This sphinx is perfectly preserved and over 3500 years old!! Another sphinx sits outside the Temple of Neptune, down a narrow street opposite the mausoleum, but is missing it’s head. Around the square are cushions where you can sit, have a coffee and enjoy the atmosphere as the ancient Romans did, this really is a beautiful place in the heart of the palace. The red granite pillars around the Peristyle are also from Egypt, where Diocletian spent many years. The bell tower of the cathedral was added in the 13th century and is currently under reconstruction until 2020 so we could not climb the steps to the top, very disappointing since I hear the views are spectacular and it is the only high place in the palace. At the western end of the Riva waterfront promenade is Republic Square, constructed in the latter half of the 19th century, with buildings inspired by Italian architecture of the same period. 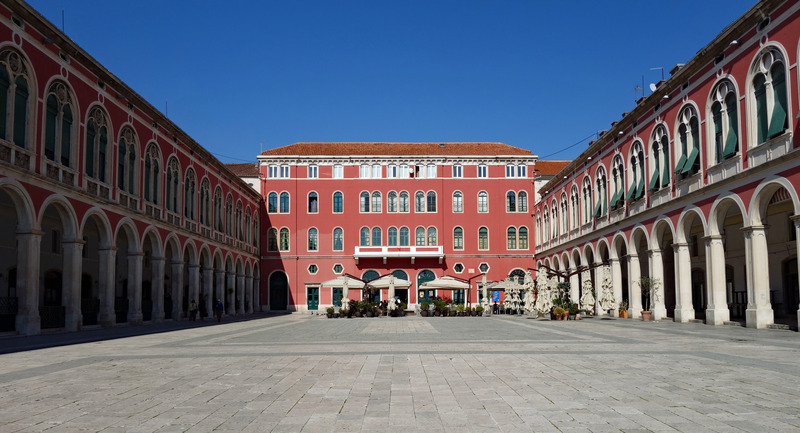 The square has a striking resemblance to St Marks square in Venice and was initiated by one of the most renowned mayors of Split to show that Split supported Italian tradition. We took a second trip up to Marjan Hill to explore deeper into this quiet oasis in the city, often referred to as the lungs of the city. The park is over 3 km long filled with hills, lush forest, hiking trails, beaches and scenic viewpoints. Towards the far end of the park are the hermitage caves carved into the cliffs. 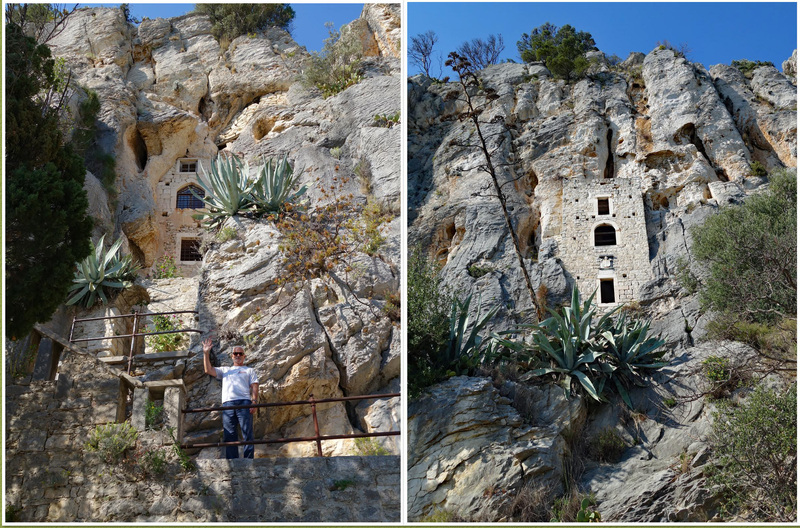 These cave dwellings date from the 1500’s and were once inhabited by Christian hermits. Next to the caves is a popular area for rock climbers with a few routes pinned into the cliff. The park is a wonderful way to spend an afternoon away from the stone walls and souvenir shops of old town. We concluded our hike around the park with a stop at the Vidilica Cafe overlooking old town enjoying a well earned cold beverage. 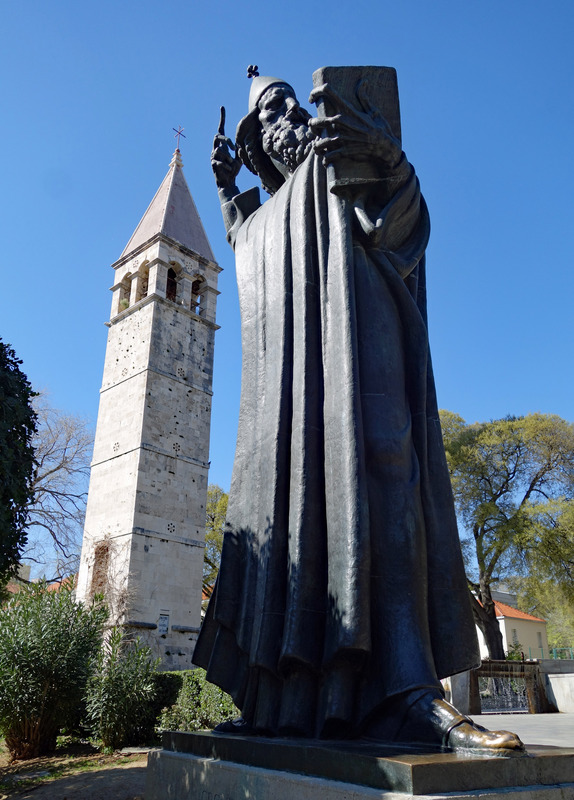 Our 12 days in Split and the surrounding area have been fun and interesting. This city definitely gets busy with cruise ship passengers and is a very popular destination in the summer. 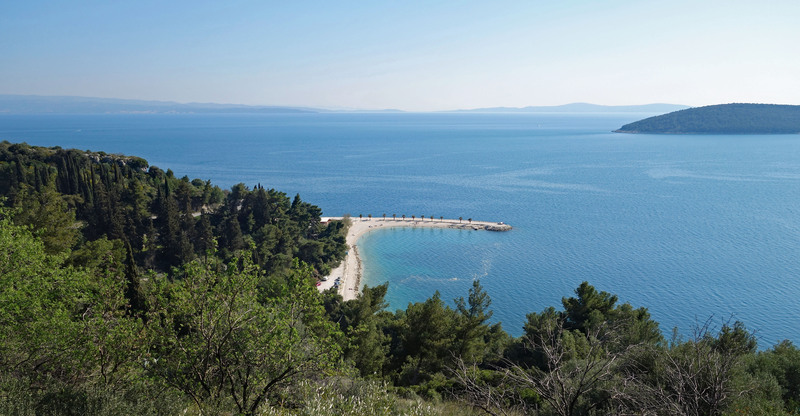 If you want to enjoy Split without the tourist crush, we recommend coming here in the off season. The downside of a few places being closed is worth having a quieter experience in the city itself. Besides wandering the ancient narrow streets in old town and along the waterfront we made a few excursions outside the city, which I wrote about in a separate post. 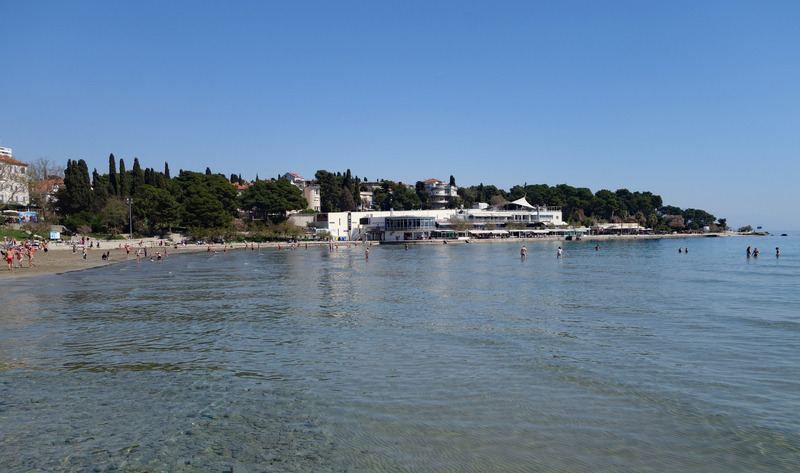 Now we are headed to the sea, making our way to one of the most popular Croatian islands, Hvar…..
Great pictures and details of your time in Split, beings back memories, although we were only there for a day. 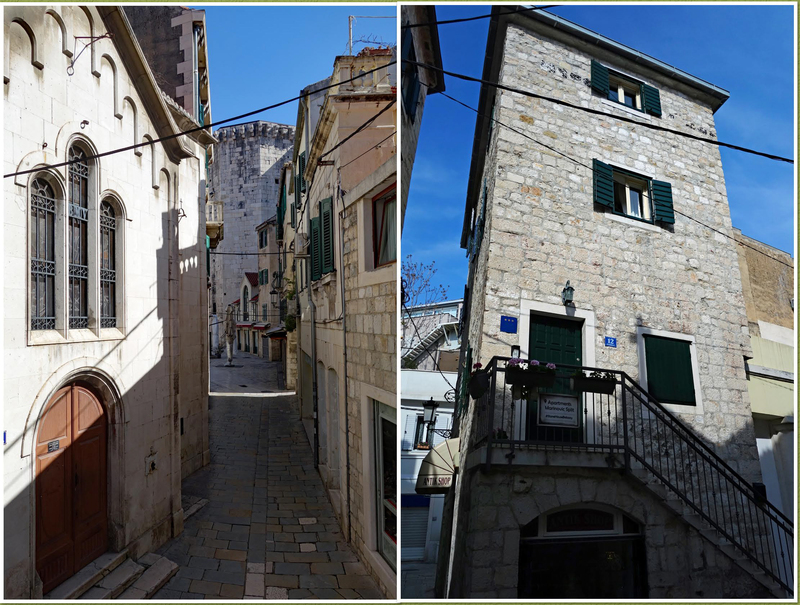 I loved the old city and was fascinated at how many countries ruled Croatia which explained the different architecture. I remember as well a visit to the market and having a fantastic lunch from fish we bought from the market.